The all electric Jaguar I-Pace has aced its Euro NCAP safety rating with 5 stars to confirm its safety status across all main safety categories. E-Pace and F-Pace have already acquired five-star Euro NCAP ratings. For Jaguar, I-Pace is the tenth consecutive car to be awarded five stars. New Jaguar I-Pace scored 91 percent safety for adult occupant protection, and 81 percent for child occupant protection, and safety assist. Maximum points were secured for side barrier impact, and severe side pole test. Protection of all critical body areas was good. At 36 kNm per degree, I-Pace comes with highest torsional rigidity of any Jaguar to date. This is possible through its lightweight aluminium body structure with high stiffness, combined with an integral battery pack protected by a structural aluminium frame. Jaguar uses aluminium forgings, and post-form heat treatment applications for increased strength of aluminium alloys used in crash-critical areas. Simon Black, Senior Project Leader, Body Engineering Jaguar Land Rover said, “The Jaguar I-PACE has already received awards for its design, performance and handling. This latest award from Euro NCAP confirms the I-PACE’s exceptional safety standards. Jaguar I-Pace features advanced safety measures to protect road users and pedestrians. The tech in place are a deployable bonnet and Autonomous Emergency Braking with Pedestrian and Cyclist Detection. Its Audible Vehicle Alert System (AVAS) warns road users regarding an approaching vehicle, which in case of an electric vehicle is seen to be a silent approach. Sound can be heard at speeds up to 20 km/h and as per forthcoming European legislation is above 56dB(A), which is the minimum requirement. 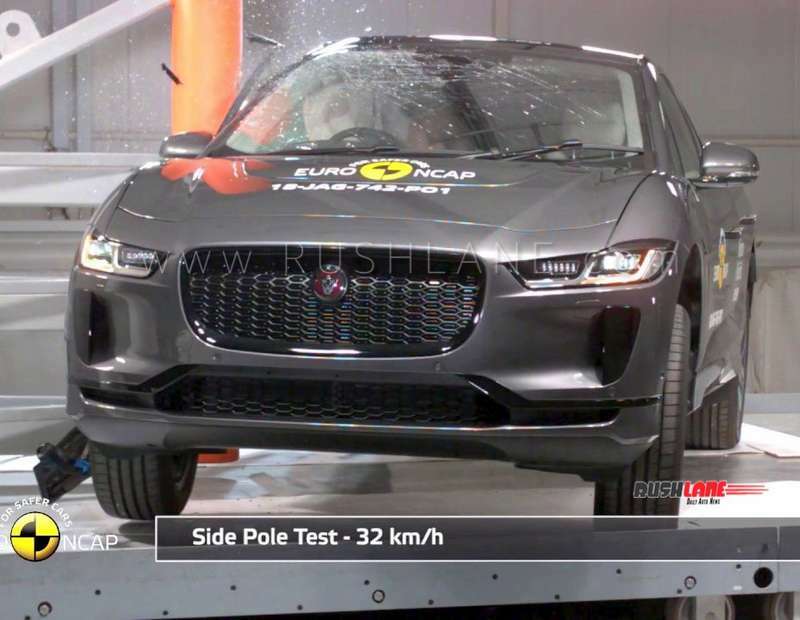 Below is the full crash test report of the Jaguar I-Pace.